The IEE together with the School of International Development (DEV), University of East Anglia, UK, the International Institute of Social Studies (ISS), Erasmus University Rotterdam, NL, and our partners in the UA-Ruhr Graduate Centre, the Institute for Development and Peace (INEF) and the Institute of Political Science (IfP), University of Duisburg-Essen, is organizing the 4th PhD Conference on International Development. The conference will take place from 24 – 25 September 2015 at Ruhr-University Bochum, Germany, and offers PhD students with various academic backgrounds the possibility to present and discuss their specific PhD projects with a regionally open and interdisciplinary audience. 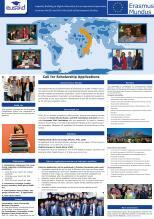 3 staff applicants were selected for a training/research period at european partner universities. 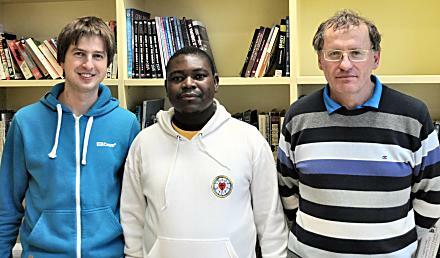 Sello Floyed Sekgobela, a south african Master student, arrived at Palacky University in order to study the Master in International Development Studies. Welcome!